50 Words on – Why you can go broke with XForex? Can you obtain light using water? Yes…wash the windows! XForex is suggesting they could bring more light in the trader’s accounts with good trading signals; however most complaints seems to be very worried of dirty “windows”. Taking into consideration this broker’s standard account allows you to make a small deposit of 100$ but forces you to trade minimum 0.10 lot size position – It could almost be looked at as a guaranteed failure. I don’t know what sophisticated method XForex is using, but if you chose the “water”, you can still be a profitable XForex trader with a little help. Unfortunately for you, the next section will teach you nothing but how to avoid going broke with XForex. Be sure that your deposit is big enough to apply a good risk management, trading 0.10 lot size positions. The overall rating that XForex has on various websites is an average of two stars out of five. The first thing a trader thinks about, when he sees this rating, is to be careful when dealing with this broker. These two stars are mostly due to the XForex’s trading recommendations and some withdrawals issues. I am the first to say that being right all the time in Forex is impossible. Being right more times than you are wrong is very hard but being wrong most of the time is unacceptable – for a trading signals provider. Nad from Australia is one of the many traders complaining of XForex’s trading recommendations . Nevertheless, it seems like providing wrong trading signals is not the only controversy for Xforex. On the same website, I found Mohi complaining about withdrawals  issues as a reply to another trader with similar problems. I have to say that while I was looking around to see how many unhappy clients XForex has, I also found many of them satisfied by the services this broker offers. Two of them caught my attention: the first one is Sam from Australia, who seems to be very angry  with the traders who posted negative comments. The second trader is shocked to see bad reviews  about XForex while for him it’s a blessing to trade with them. For being an Australian, Nad (also Sam) has a bad English but for being a Forex trader, Nad has no excuse for blindly following any trading recommendation. I don’t think I’ve ever seen a Forex Broker who only received positive comments. If I will ever do, I would get suspicious. XForex definitely has to improve their withdrawal service but don’t rely on traders’ comments who claim to receive money from a company, without providing any ID. So yea, XForex has some issues to fix, like to fire their trading signals provider or to make the withdrawals less bureaucratic but overall, I don’t think “scam” is a word to use next to XForex. Even if I don’t approve it, I can understand why many traders are looking to make small deposits using higher leverage for their trading accounts. However, the XForex minimum position size of only 0.10 lots – or 10000 units of the base currency – is way too big for their standard trading account, which allows traders to make deposits as low as 100$. If you trade 0.10 lots on 100$ account is a matter of when and not if you will go broke. I guess this is very common between Forex brokers, but I noticed on their FAQ section how bureaucratic is to withdraw your money confronting to the multitude of options you have and how easy it is to deposit. First, you have to fill a form, providing your bank details even if you don’t want to withdraw in your bank account, print the form, sign it, then scan it, and send it back to XForex by email. 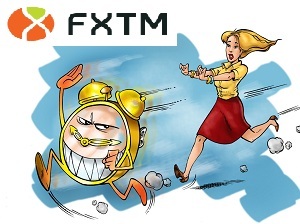 If you want to withdraw money in another way than using your credit card or bank account, you are not done yet, as you have to email XForex to another email address than the one you sent the signed form in the first place and wait for them to call you. No one tells you for how long you have to wait though. Could be days, weeks, years….who knows!? Aren’t the big profits the reason why you started to trade in the first place? Then why is it so easy to deposit -and you have so many options to do it- and yet it’s so hard to put your hands on the profits? Overall, this issue is not so big that it could make a trader run away. If you have patience and you follow all the steps, you have good chances to be a happy trader. However, there are some ugly complaints regarding XForex’s withdrawal process and their recommendations that are supposed to help traders to make money. XForex offers normal spreads (1-5 pips) for their standard accounts but if your intentions are to trade and not to play in the Forex market, you have to open a Premium Account with a minimum 1000$ deposit and they will offer you custom tailored spreads. On their website , they also promote a fixed spread as for example 3 pips for eur/usd. Beside the well-known MT4 platform, XForex offers a web-trading platform that doesn’t need any download or installation of any software in your PC. It’s enough for you to have an internet connection and to open a browser from any corner in the world and you can start trading. The last but not the least, if your trading strategy requires hedging, XForex allows you to hedge, but only on their MT4 platform. Editor’s Note – Is XForex a Scam? As I said it at the end of the “ugly” part, I don’t think “scam” is a word to use next to XForex. Yes, it is true that there are many accusations pointing at a scam-like picture, but I also know that when someone loses his money, he finds guilt in anyone else but himself. Until proven otherwise, XForex is not a member of the “club of scammers”. Twenty-three international authorities regulate this brokerage and this says a lot about their efforts to respect the laws and to protect their customers. If I had limited financial possibilities, I would walk away and look for another broker, who allows me to trade 0.01 lots on my 100$ deposit. The same thing I would do if I would be a scalper as this brokerage does not allow scalping on their trading platforms. However, having so many authorities to back me up in case I need it, I would definitely open a trading account with XForex using their premium account, benefiting the VIP treatment.